When an insurance policy is terminated by the insurance company as the result of the premiums not being paid when they came due. In the case of a policy with a cash surrender value, the nonforfeiture provision go into effect. The probability concept where the larger the number of occurrences of a given event, or risk, the closer will the results will be to the expected results from an infinite number of exposures. This is one of the basis for insurance. A dividend option that leaves the policy dividends with the insurance company to accumulate with interest. A form of investment risk that results from governments changing legislation, such as tax laws, that would adversely affect an investment. A feature in mutual funds to reduce sales charges whereby a mutual fund shareholders promises to invest a specified amount of money during a stipulated period of time. The practice of investing with borrowed money in the hopes of increasing potential profit. An insurance commission payment method where the commission rate is the same for both first-year and renewal premiums. An insurance commission payment method where first-year commission rates are lower than normal and the renewal commission rates have been increased. An annuity contract that pays an income benefit for the life of the annuitant with a guarantee that a given number of income payments will be made. If the annuitant dies during the guarantee period, the beneficiary will receive the remaining income payments during the guarantee period. If the annuitant dies after the guaranteed number of payments, all benefits cease. A form of property ownership where an individual has absolute right to the possession, enjoyment, and profit from a property during his or her life. The individual's interest in the property ends at his of her death. A type of death benefit settlement option in a life insurance policy that pays the benefit in the form of an annuity. Payments are made for the life of the beneficiary. An insurance policy designed to protect against the economic loss resulting form the death of the insured person. A professional organization that conducts research on the distribution methods of life and health insurance plans for its member companies. Studies include consumer responses to available insurance coverages and various matters affecting agency/agents productivity. Also see the LIMMA Home Page. 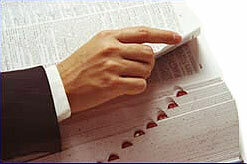 A type of agreement establishing a trust for the named beneficiary of a life insurance policy. Proceeds are distributed as defined in the trust agreement following death of the insured. This organization prepares and administers educational information for the Fellow Life Management Institute (FLMI) program. Students completing course studies and examinations receive the FLMI designation. Also see the LOMA Home Page. The cap on the benefit payments that will be paid during the life of a single policy. Another name for a life insurance agent. This organization develops and administers educational materials and exams to life insurance agents, emphasizing sales techniques. A form of business ownership whereby the liability is limited to an investor's original capital investment, as opposed to a general partnership under which the partner or owner has unlimited liability. A form of business organization where the limited partners are only liable to the extent of the amount of money that they invested in the partnership. Limited partners are not involved in the management decisions of the business but are entitled to the flow-through of income and expenses for tax purposes. Assets that can be transferred into cash quickly and without a significant loss. Examples may include publicly traded stocks and bonds. A form of investment risk whereby an investment may not be able to be sold at a time when cash is needed. Treasury Bonds for example are publicly traded and have liquidity. Limited partnerships on the other hand are often not publicly traded and may not have liquidity. A trust that is created during the grantor's life time by revocablely (the grantor may make changes at any time prior death) transferring property to a trust but the grantor retains the power to alter the trust. The trust assets avoid probate and publicity upon the death of the grantor. All assets in the trust are treated as an incomplete gift and do not change the income, estate or gift tax status of the grantor. A will that sets forth the testator's desire not to be kept alive on life support machines, should the occasion arise. Lloyd's is an insurance facility comprising many diverse syndicates, each specializing in a specific risk. Coverages provided include jumbo or excessively large risks as well as reinsurance and retrocessions. Syndicate membership is restricted to individuals with considerable personal net worth, and each member may belong to more than one syndicate depending upon his net worth. A premium collection method that employees a specified post office box and an authorized bank that collects and deposits the premiums. The premium notices and an accounting of the collection are forwarded to the insurer for processing. The purchase of a contract or security to establish a market position that has not been closed or sold. A form of insurance protection that provides for the day-to-day care a patient (usually older than 65) receives in a nursing facility or in the place of residence. There are three basic forms of LTC plans: Skilled nursing care, intermediate care and custodial care. A type of mutual fund that levies a front-end sales charge of usually 3% or less on direct purchases by investors, as opposed to a no-load fund that assesses no sales charge. Also see back-end load, front-end load, and no load. A type of death benefit settlement option in a life insurance policy that pays the entire benefit in one payment.